Important notification of dates regarding Pharmacist Recruitment Exam-2011. Pharmacist exam held on 16-06-2012 - 17-06-2012. Now RUSH Published RUHS Pharmacist Exam Result 2012. 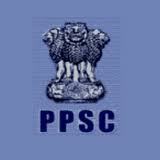 Panchayati Raj Department Conducted 3rd grade teacher Examination 2012 for 41000 posts. The Examination has is going to held on Saturday dated 02 June, 2012 which the previous date was 15 may 2012.The ADMIT CARD For IIIrd Grade Teacher exam 2012 will published on 24th May 2012 Thursday Late Night.All candidates who applied form for Panchayat Raj 3rd grade teacher Examination 2012 can Download Admit Card For Panchayat Raj 3rd Grade Teacher Exam 02 June 2012 through Panchayat Raj official website (Given Url Below). • Assistant Engineer : 199 vacancy in the disciplines of Civil/ Electrical/ Mechanical/ Agriculture in different section, + 15 posts are increased in Panchayati Raj Department Pay Scale : Rs. 15600-39100 Grade Pay Rs. 5400/-, Age : 21-35 years as on 01/07/2012 and recreation in age as per rules. Applications are accepting from the Male/Female populace of India to fill up posts of Head Constable/GD & Constable/GD in Central Reserve Police Force against Sports Quota. • Head Constable/GD : 191 posts in different Sports order, Pay Scale : Rs. 5200‐20200 plus Grade Pay of Rs. 2400, Age : 40 years. • Constable / GD : 675 posts in in different Sports disciplines, Pay Scale : Rs. 5200‐20200 plus Grade Pay of Rs. 2000, Age : 40 years. Age : 18-23 years as on 01/08/2012. • Navik (General Duty) in the Pay Scale : Rs. 5200 - 20200 with Rs. 2000 Grade Pay, Qualification: 10+2 with Maths and Physics from an education board documented by central/ state Government. Age: Born between 01 February 1991 and 31 January 1995. • Navik (Domestic Branch) (Cook & Steward) in the Pay Scale: Rs. 5200 - 20200 with Rs. 1900 Grade Pay, Qualification: Matriculate / 10th/ High School, Age: Born among 01 April 1991 and 31 March 1991. • Captain (P1): Recent and valid ALTP License issued by DGCA (ii) minimum 5000 hrs of Airline Jet knowledge. • First Officer (P2) : Current and valid ALTP License issued by DGCA (ii) least 2500 hrs of Airline Jet experience. • Constables in Bihar Police: 7606 vacancies in different districts of Bihar, Pay Scale : Rs.5200 - 20200 grade pay Rs. 1900/-, Qualification : 10th pass, Age : 18-23 years, recreation to reserved categories as per Bihar Govt. rules. 5. 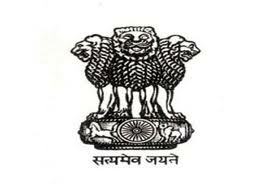 Director (Institute) : 02 posts in Office of the Development Commissioner for Handlooms, Ministry of Textiles. Assistant Professor in Avionics: Rs. 15600 -39100/- (PB 3) with Grade Pay of Rs. 7600/-+ HRA & DA at appropriate rates., Age : 40 years as on 02/07/2012, Qualification : B.Tech in Electronics and Communication and M. Tech in RF and Microwave with PhD in significant area. Sub-Inspectors (Executive) in Delhi Police : 335 posts (Male-324, Female-11) (Open-260, Departmental-32, Ex-SM-32), Age : 20-25 years as on 01/08/2012, Relaxation in age as per rules, Pay Scale : Rs. 9300 - 34800 grade pay Rs.420, Qualification : Bachelor’s Degree from a documented University or equivalent and (B) Male candidates must possess a applicable Driving License for LMV (Motor Cycle and Car) on the date fixed for Physical Endurance & Standard Tests. Fee: Rs. 100/-. No fee for SC/ST/PH/Women and Ex-Serviceman to be paid through State Bank of India either in the form of challan or net-banking. Pre Paper Held in Two Paper . Rajasthan Teacher Eligibility Test 2012 (RTET 2012) will be performed by Board of School Education, Rajasthan as a nodal agency ordered by Govt. of Rajasthan. Rajasthan Teacher Eligibility Test 2012 (RTET 2012) will be conduct as per following schedule. District Office Bhopal, MP of Navodaya Vidyalaya Samiti (NVS), application form for the subsequent posts for selection on direct recruitment basis in Jawahar Navodaya Vidyalaya under Bhopal area. • Lower Division Clerk / Store Keeper: 63 posts in MP/Chhattisgarh/Odisha States, Pay Scale: Rs. 5200-20200 grade pay Rs.1900, Age: 18-27 years as on 30/06/2012. • Constable/ Fire : 693 jobs in different States + 302 posts for Naxal pretentious/ Disturbed area in dissimilar states, Pay Scale : Rs.5200-20200 grade pay Rs.2000, Age : 18-23 years as on 18/07/2012. 1. Information Technology - Algorithms, Operating Systems & Compiler Design, Networking, Discrete Mathematics, Physics, Software Engineering, Real-Time Systems, Simulation & Modeling, Computer Architecture & System Software. 2. Electronics – Digital Design, Instrumentation & Control, Device & Circuit Modeling, Mixed Signal VLSI Design, RF (Circuit & VLSI) Design & MEMS, Biomedical Instrumentation. 3. Management & Cyber Laws – IT & Operation Management, IT & Finance, Cyber law & IT Act, Information Security, Finance, Operations, General Management (IT), Cyber Laws and IT Act. 4. Others - Bioinformatics & Biomedical Engineering-Genetics, Anatomy & Physiology, Micro-Biology,Chemical Biology. The Rajasthan Public Service Commission, Ajmer accepting Online Application Form for the State Eligibility Test for Lectureship in different subjects. Application Fee : Rs. 650/- (Rs. 350/- for BC/SBC and Rs.200/- for SC/ST) should be submitted by candidates through E-Mitra Kiosk, C.S.C. Center authorized by the Rajasthan Govt. The candidate should pay a sum of Rs. 40/- (Rs. 30/-for filling of the application form + Rs. 10/- for depositing of examination fee extra.